Hello my fellow NPAs! 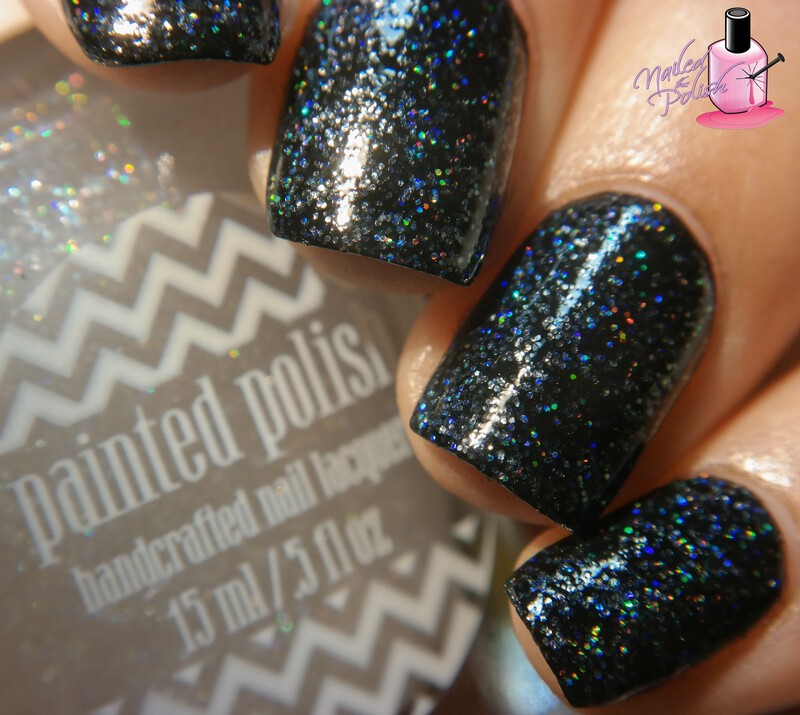 ❤ I’ve got an exciting post for you all – the first look of Painted Polish‘s Clearly Drunk On Holo! Clearly Drunk On Holo is the clear version of Painted Polish’s famous Drunk On Holo. Packed with clear, iridescent, and holographic micro glitters, this baby is truly unique! Shown here is one coat over one coat of Painted Polish Midnight Mischief (best black EVER!) plus top coat. The glitter to base ratio is absolutely perfect – as with all other PP micro glitters. Usually glitters like these like to move around and pool at the edges but I did not experience that with this polish. It is very easy to apply and control plus it levels great! Depending on the type of top coat you have, you may need to add a second coat to smooth everything out. I topped my swatch off with one coat of KBShimmer Clearly On Top which I found to be enough to smooth it all out. I love the depth that this polish has over black! Well there you have it folks! 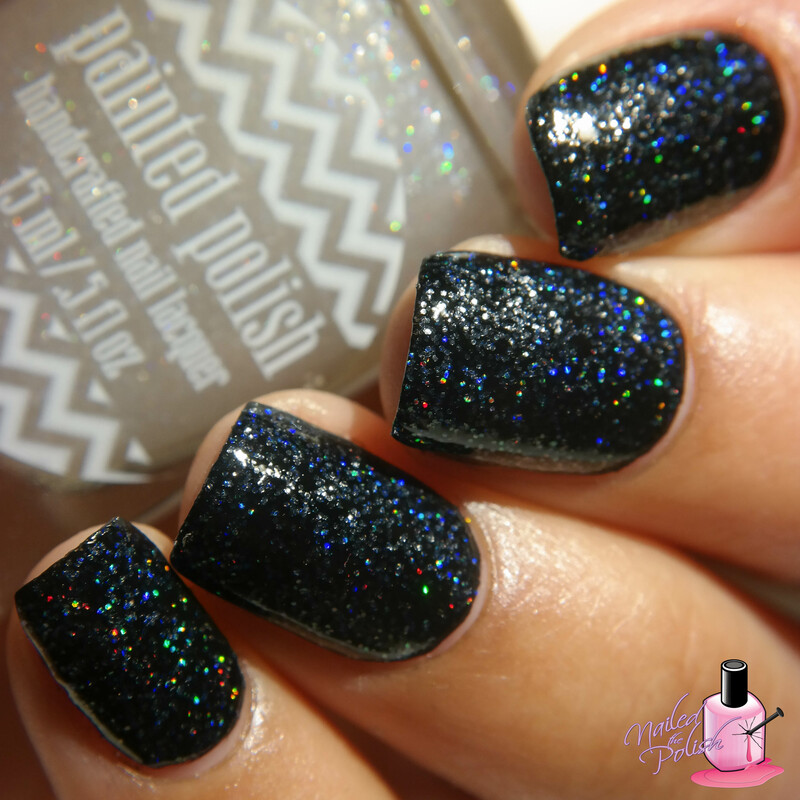 This is one polish that you definitely want to have in your collection! For more on Painted Polish, you can check out their Instagram and Facebook! What are your thoughts on Clearly Drunk On Holo? This polish was provided for my honest review.